The role of migration and remittances sent by the migrants is a matter of debate in the existing literature on migration research. 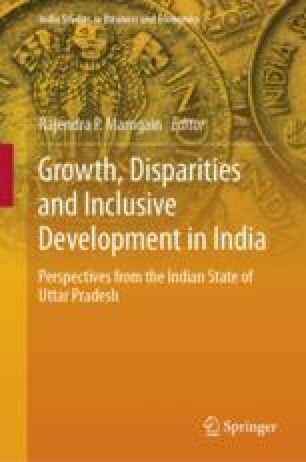 Using the nationally representative data from the 64th round of National Sample Survey, this paper contributes to the debate about the impact of internal and international remittances on poverty reduction in Uttar Pradesh and Bihar. In the list of states in India, these two states are often placed at the top, for their high out-migration rates and low progress in social and economic indicators. This paper begins with a discussion of migration, remittances and poverty at the household level. A huge diversity exists in the utilisation of internal and international remittances in the areas of origin. The estimate reveals that internal and international remittances not only reshape the life chances of remittances receiving households but also fulfil the diverse non-food necessities. The result from the multivariate logistic analysis shows that households from rural areas received higher remittances compared to urban area. Thus, it gives strength to absorb the risks and shocks of catastrophic health, marriage expenditure and incidence of crop failures to the rural households. In line with an optimistic view, the findings of the present study show that remittances based migration enhances the socio-economic status and reduces poverty of migrant households. Based on propensity score matching technique, the results also show that the impact of international remittances on reducing household poverty out-weigh that of the internal remittances in Uttar Pradesh, but in Bihar, domestic remittances play a significant role in reducing poverty at the household level than international remittances. National Sample Survey Organisation (NSSO). (2008). Migration in India (Report No. 533(64/10.2/2), 2007–08). New Delhi: National Sample Survey Organization, Ministry of Statistics and Programme Implementation, Government of India, Retrieved March 2011 from http://www.mospi.gov.in/mospi_nsso_report_pubn.htm.